NEW SHOW ADDED IN LETHBRIDGE ON SEPT. 30TH! 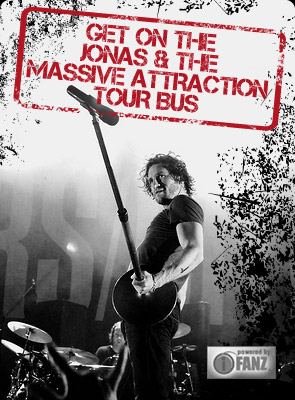 Jonas & The Massive Attraction have confirmed a new date on the LIVE OUT LOUD TOUR 2014 at Bo’Diddly’s in Lethbridge, AB on TUESDAY, SEPTEMBER 30, 2014 at 8:00 Pm. Tickets are ON SALE NOW at $15.00 advance/$20.00 door. Get your Tickets by calling 1-888-222-6608 or on-line at BUY TICKETS.